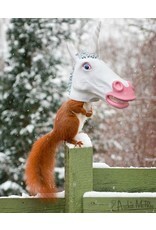 With other feeders you humiliated squirrels, but the Unicorn Squirrel Feeder uplifts them. 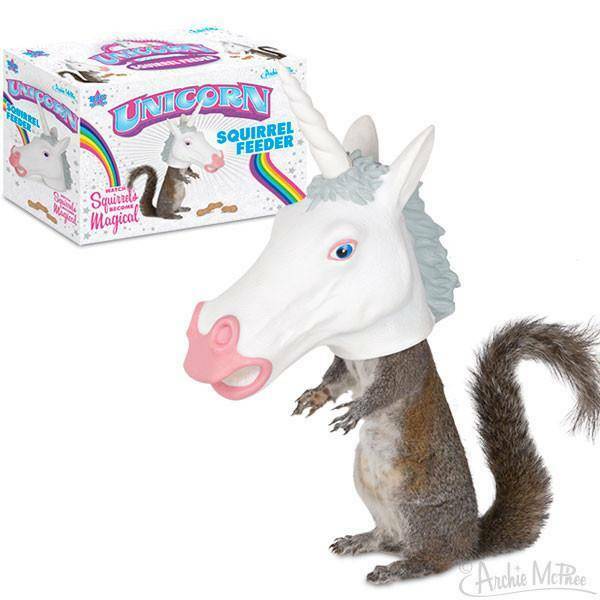 It's like you're a wizard and cast a spell on the squirrels in your backyard. 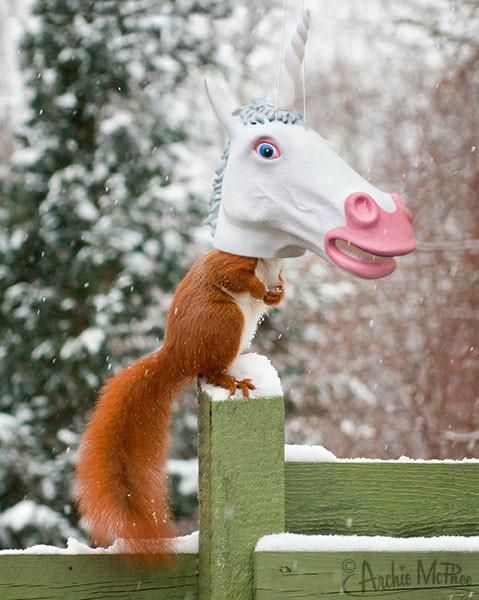 With a quick "unicornis in transmutare sciurus" that boring old mundane tree rat transforms into a magical beast from Fairyland. 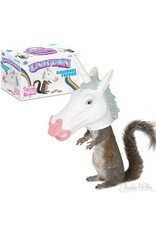 In other words, when squirrels eat out of the vinyl 9-1/2" x 10" unicorn head, it makes it look like they are a unicorn. 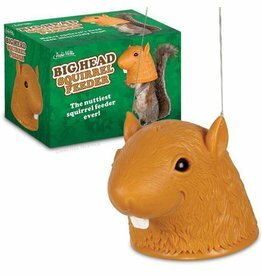 Just attach the horn with a quick twist and then hang it with string (not included).